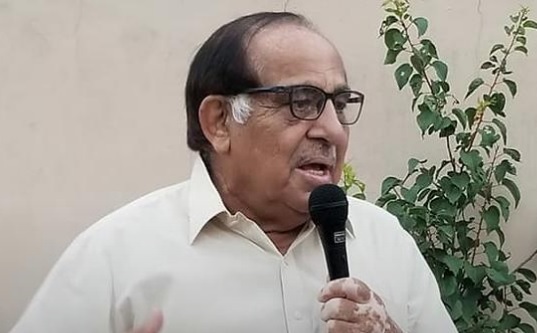 ISLAMABAD: Former lawmaker and Pakistan Tehreek-e-Insaf (PTI) leader Syed Zafar Ali Shah has expressed his hope that the new government would try to enact and promulgate a new rent control act in Islamabad to meet the long-standing demand of the traders of the federal capital. Addressing the local business community during his visit to the Islamabad Chamber of Commerce & Industry, he said that traders of Islamabad have been demanding since long for new rent law but long delay in its enactment had created frustrations in them. ICCI Senior Vice President Muhammad Naveed Malik and Vice President Nisar Mirza were also present at the occasion. Zafar Ali Shah was hopeful that the new government would arrange the passage of amended bill of rent law from the parliament and enforce it during first 100 days of its term so that traders of Islamabad could take a sigh of relief. For promoting business activities, he said that traders needed a peaceful and secure environment. He said that the promulgation of new rent law would help in realizing these objectives. Speaking at the occasion, Naveed Malik said that in consultation with all the stakeholders, an amended bill of rent law for Islamabad was prepared and presented long time ago in the National Assembly. However, no measures were taken to pass the bill into the law and delay in its enactment was creating frustrations in the trading community. He said that Finance Minister Asad Umar during his election campaign had assured the traders that if voted to power, the PTI government would try to promulgate new rent law in Islamabad within first 100 days of its tenure and hoped that he would honour his assurance made with the local traders.